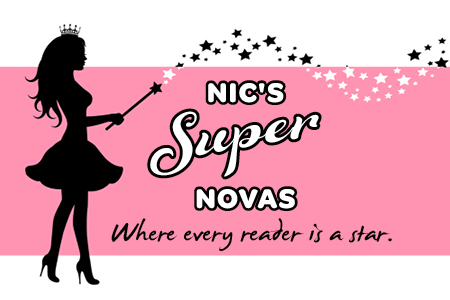 Please join my reader group NIC’S SUPER NOVAS, WHERE EVERY READER IS A STAR, for book discussions, free ARCs and to give me feedback on anything from covers to naming characters! ninemsn Money interview: Love is in the Air: can you make money as a romance novelist? Like most authors, Nicola writes because she has to. It's a passion, an obsession. 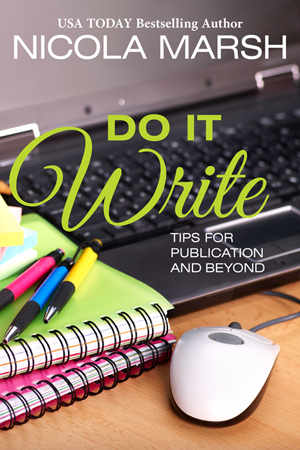 In this jargon-free reference, she explores various writing tips for publication and beyond: stellar settings, the first 5 pages, what drives your story, motivation, editing, speed writing, methodology, revisions, resilience, and more, including sample synopses. This concise writing guide, with its tips and examples, will spark the imagination and help the words to flow. Ideas can spring from anywhere and everywhere. I really enjoy travelling because I get the chance to sit back and watch people from other cities or countries going about their daily lives. I often wonder what their lives entail, who they might be waiting for, why they were running… my imagination takes over and a new plot is born! My work day goes something like this: mad morning rush, school drop-off, an hour doing writing admin stuff, write for 4 hours before back to school for pick up. If I’m on tight deadline, I’ll start writing again at 8.30pm when the kids are in bed and squeeze in another two hours. Before doing it all over again the next day. I used to like my first draft to be perfect. These days, I have to write quickly to meet deadlines and juggle a young family so I let the words flow, get the first draft done, put it aside for a while before editing. It’s amazing what you’ll pick up with ‘fresh eyes’. I’m a plantser! A mix of plotter and pantser, once the muse strikes, I get the idea down on paper ASAP, occasionally outlining the whole story before I know what has hit me. I used to use detailed character charts but find I tend to fly by the seat of my pants these days and just follow the journey my characters take me on. Though I always resort to trusty pen and paper to jot down notes if I get stuck! I absolutely must have the right title before I can start writing a story. The title usually encapsulates the essence of the book. And no, most of my titles aren’t chosen by me. The sales and marketing team choose ‘hook’ titles, words or phrases that are known to intrigue readers so that’s where those interesting titles originate. Know your market. Read widely, especially in the genre you’re targeting. Write what you love. But most of all, write…and write..and write some more! Develop your voice, let those words flow, find your niche in this wonderful, creative world of words.